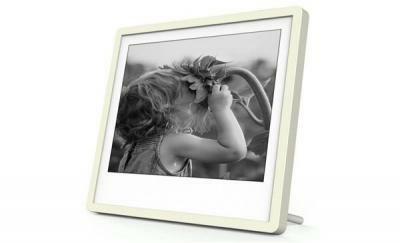 Pixer is a cordless and wireless digital photo frame that uses a monochrome 6" 300 DPI E Ink Carta display. The image can be controlled via a mobile application that lets your friends share photos to your frame. The e-paper's low power consumption means that it can be used without a power cord. Pixer was developed in a joint project by Gigazone, Gigabyte and E Ink Holdings. This is what I have wanted for the last 8 years, but in colour, Why No Colour eink photo frames, I know eink colour is not the best but way better then Black & White.